In another display of her ability to juggle parenting and White House life, President Trump's eldest daughter hit two very different events on Sunday. Ivanka Trump has used social media as a window into her family life since her father's 2016 election win, offering the American public a look at her day-to-day activities with husband Jared Kushner and their three children -- Arabella, Joseph and Theodore. Ivanka Trump posted to Twitter on Sunday that she had taken her kids to a "Monster Jam" event in the Washington area. "Epic first Monster Truck show with the kids!," Ivanka Trump wrote. 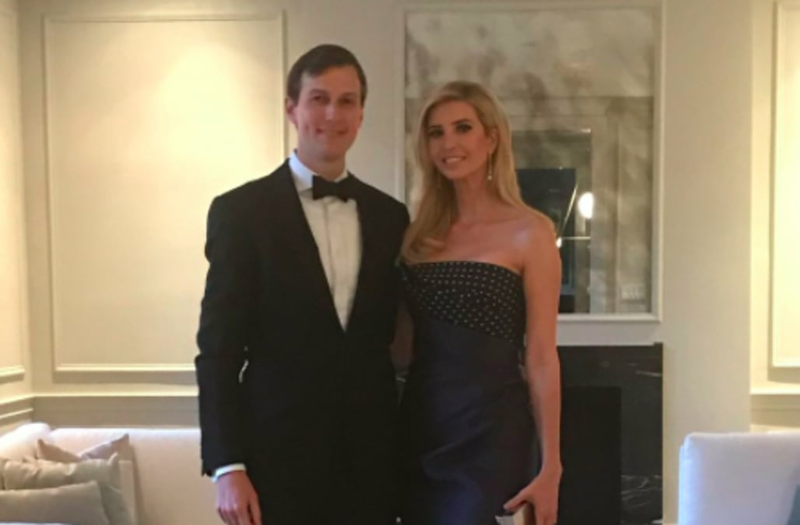 Ivanka Trump quickly shifted gears after the kids' event, though, posting two images of herself and Kushner -- who also serves as a senior Trump adviser -- before and after the Governor's Ball. Ivanka's social media use recently came under scrutiny, when she posted an image of her sitting at the president's Oval Office desk beside her father and Canadian Prime Minister Justin Trudeau. Some users reacted in opposition of her post, saying Ivanka Trump was using the White House as a "prop," while others defended the businesswoman and first family members. The criticism clearly didn't affect Ivanka's Twitter habits. Days after that backlash, the first daughter shared a picture with 5-year-old Arabella on the steps of the Supreme Court, where they had just heard oral arguments from the prestigious judicial bench. It has also been reported that Ivanka is lobbing Congress for a $500 billion child-care tax benefit, which would be available to individuals earning less than $250,000 a year or couples earning less than $500,000 a year.